Google Maps – Besides helping me find my way between a myriad of places, I use Google Maps to look up all sorts of locations in my family history research. I can use it to see a town in Europe – or to see if that town name actually exists. Or, I can look up a census address to see if the house is still there, and if a “Street View” exists I can even see how the location looks today. For cluster research, I can create a custom map and “pin” all of the locations of a particular family or group of neighbors. Historic Maps – I love historic map sites! What genealogist doesn’t? One of my favorites for my hometown research is the Greater Philadelphia GeoHistory Network interactive map viewer. I can see past maps of the city layered on top of today’s map (using Google Maps). 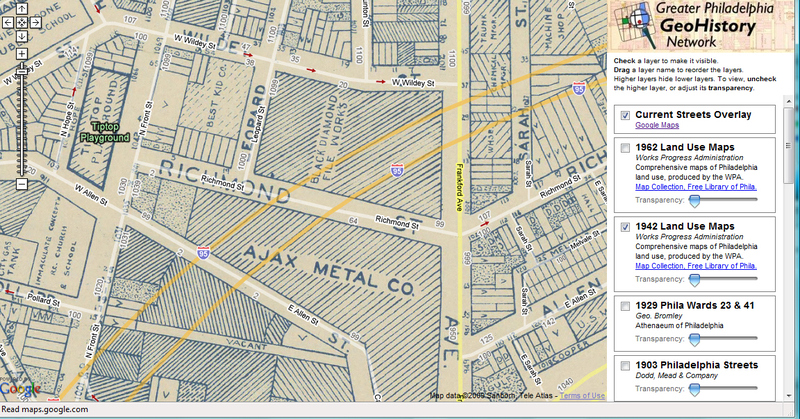 My favorite is the 1942 Land Use map that includes businesses, factories, churches, and more. With this old map, I can literally walk around the neighborhood of my ancestors and “see” what they saw as they walked the streets of Philadelphia. (See my previous post, Fun with Maps in Philadelphia, for more on the site.) Old maps of Europe were essential to my research to determine country borders – was it Poland or Russia? Bavaria or Austria? Pinpointing a town with maps – Sites like the JewishGen Gazetteer (formerly called the ShtetlSeeker) can not only show you a town on the map, but show you towns within a ten-mile radius. You can also search for a town name phonetically, which is useful for misspelled town names. The Gazetteer contains the names of one million localities in 54 countries in Europe, North Africa, the Middle East, and Central Asia. Learn more about it in my previous post, ShtetlSeeker: It’s Not Just for Shtetls Anymore. Surname Maps are a very different sort of map that also have a place in family history. Several sites allow you to create a map of surname distribution in a particular country. The maps are usually based on current data, such as census records or phone books. Such maps can lead you to potential relatives back in the old country or even validate your place of origin. I try to use a surname map in each of my Surname Saturday posts to illustrate the name’s distribution. Frankly, they are really just plain fun. I recently entered a rather unusual surname into a surname map-maker for Poland and found a total of one person with that name – in exactly the same town my ancestor came from. Hello, cousin? 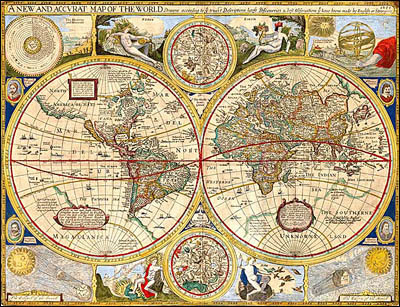 How have maps helped your family history research? Continuing the Family History Through the Alphabet Challenge…K is for Księgi Parafialne (Polish for “Church Books”) via the website <EDITOR’S NOTE 10/2015 – the site this article referred to no longer exists; another site uses the same name but does not offer the same content>. If your family history is Polish, this site is a must and yet it is not mentioned very often among guides to Polish research or “best of” lists. What is it? A site that lists, by province, every town that has church books indexed. The indexes (indices) are all on other sites – this is merely an index of indexes and links are included to get you there. As such, this site is only helpful once you’ve discovered the name of the town from which your ancestors came. First, click on “Województwa” to find the province. Since the entire site is in Polish, you must look for the Polish name of the province (Pomorskie for Pomerania, etc). Each province has a separate page with a list of towns. Find the town name in the first column, parafia / USC. If available at one of the online sites, it will be listed. The dates in the columns show what records have been indexed for Chrzty/Urodziny (Baptisms/Births), Małżeństwa (Marriages), and Zgony (Deaths). Under Strona www is a link to the web site with the indexed records. There are over a dozen sites that have images (or at least indexes) of the records available. Included among them are Geneteka, which I’ve praised here before, and the Polish church books included on FamilySearch.org. What’s not listed? 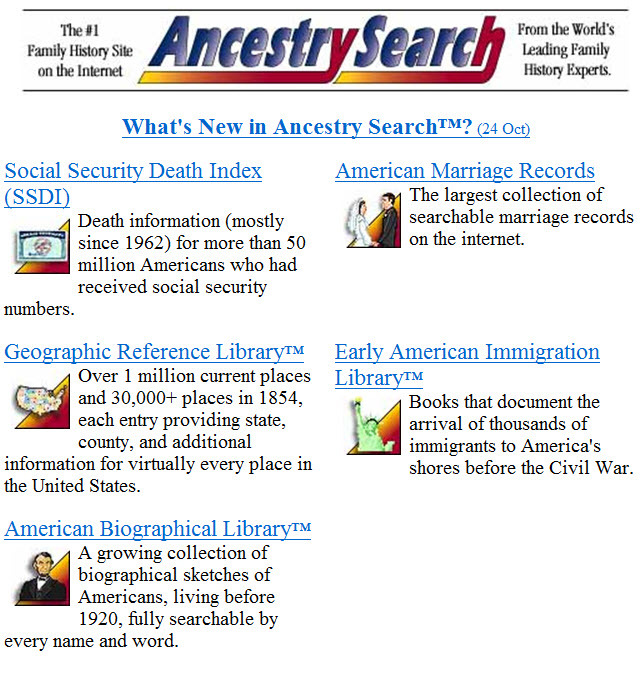 Anything on microfilm available via FamilySearch – this site lists only records/indexes available online. As with any record site, some provinces have many more towns with online records available than others. 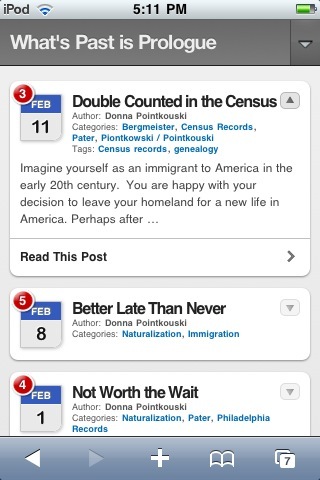 But towns are added weekly and the site is a great way to keep track of what’s available for your ancestors’ towns. There are hundreds listed – is your ancestors town among them? On the main page next to “Województwa” you will also see “II Rzeczpospolita” or “Second Republic”. This list includes areas once associated with Poland during the interwar period. 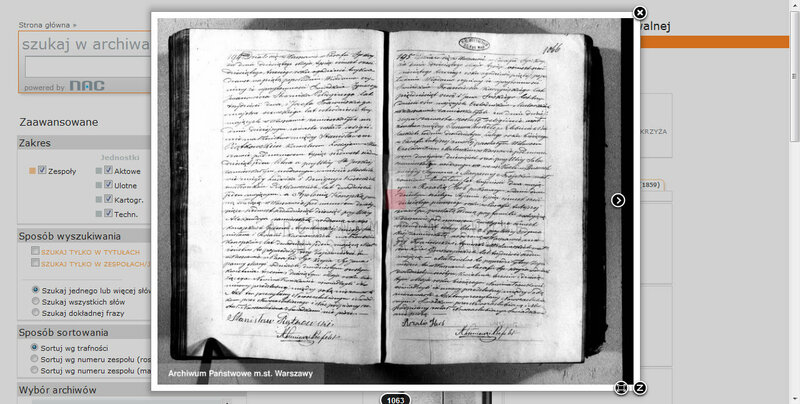 There is also a heading “Dokumenty metrykalne” which offers documents that describe the format of the records. However, as the documents are in Polish, it will not nearly be as helpful as various translation guides in English. Share information with my family on Docs. It is also a useful place to store info among my various computers (work, home, laptop). Find references to ancestors or towns in old books and newspapers, especially foreign texts, on Books. This is how I found out about a fire in my ancestors’ town, my fugitive immigrant, and I located many sources for my Józef Pater story. Translate words, phrases, or entire texts from Latin, Polish, German, and many other languages with Translate. While the translations are not 100% accurate, you do get the general idea of the text. You can also translate directly from Google Books if the full text of the book is available. I even use Google’s web browser, Chrome, their photo editing tool, Picasa, and their email platform, Gmail! The only Google apps I don’t really use are the blogging platform, Blogger, and the social networking site, Google+, because I like WordPress and Facebook better. However, many other genealogists find both of these tools to be useful to their family research as well. This “Google Doodle” was used for Louis Daguerre’s 224th birthday. As the inventor of the Daguerreotype photograph, I thought it was appropriate to illustrate Google and Family History! 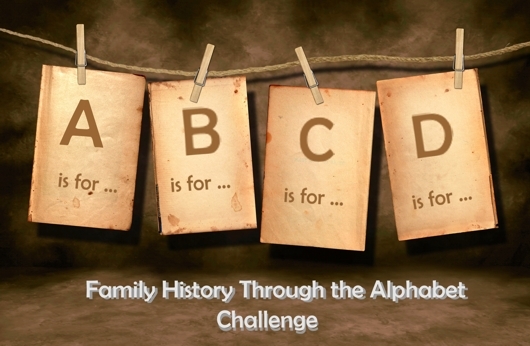 How do you use Google for your family history research? When we think of the past, we usually remember things that were a part of our lives such as cars, music, or fashions, or things from before our time that we learned about as history. The internet has only been part of our lives for a relatively short time as far as the history of the world is concerned, so while I sometimes think on the days “before” the internet, I don’t usually think about its earliest days and what it looked like. That is, until I read Go Back in Time: How 10 Big Websites Looked 15 Years Ago. The post uses the Internet Archive Wayback Machine to show screen shots of several sites including Apple, Google, Yahoo, Amazon, and the New York Times. It was like the equivalent of looking at old photos of your family, friends, and self in fashions and hairstyles best kept in the past. But it was interesting to see just how “old” each of the sites looked “way back” when and just how much the internet and technology has evolved in such a short time. Genealogical research on the internet has shown the same leap as the sites mentioned in that article. I decided to look up some of our favorite big genealogy sites to see what is the equivalent of their old prom pictures. While the screen shots might have that “dated” look about them, the most striking difference is that each of them have so much more information – including actual records online – than they did in the past. Take a walk down memory lane – do you remember when the sites looked like this? Of course, What’s Past is Prologue has looked exactly the same since its creation in 2008 except for the addition of some pages and changes to the sidebar. But that’s just because I like the design! As an author of one or two blogs and a reader of, well, a whole lot of blogs, I started to think about readability. Things like font and background colors have an obvious affect on how easy – or hard – it is to visually read a blog. But there are other less obvious choices that we make as bloggers that may not come to mind. Here are my thoughts on five ways to make our blogs more “reader friendly” – what are yours? How do you make a blog mobile ready? WordPress bloggers can go to their Dashboard, Appearance, Extras. Check the box next to “Display a mobile theme when this blog is viewed with a mobile browser”. Click on “Update Extras” and you’re ready for the small screen. Users of the Blogger platform must log on to draft.blogger.com instead of the usual Dashboard in order to see this setting. Then under Settings, go to Email & Mobile and select “Yes, On mobile devices, show the mobile version of my template.” Click on “Save Settings” and your blog is ready. No matter which blog program you use, choosing the mobile ready option does not change the way your template looks on a “regular” computer. Sometimes I’ll find a new blog and want to send the author an email, but I can’t find any contact information! Whether you use your own name or a pseudonym, you’ll have more authority if you let your readers know something about you. Most bloggers recommend using an “About Me” page to provide your readers with some background information or credentials. For genealogy blogs, an “About Me” page can be useful to also provide information about your surnames and/or locations of research! Most importantly, have an email address so that readers who are shy about commenting publicly have a way to get in touch. If you have a blog, you love to get comments, right? Comments let bloggers know that someone is actually reading what they write! Unfortunately, many everyday readers are not active participants or commenters because commenting can sometimes require too many steps. To a computer-savvy blogger, using “Open ID” is no big deal. Neither is word verification (although personally I find it rather annoying). But to an ordinary reader, these steps make can make commenting not worth the trouble. If you use word verification, review comments before they appear on the page, or don’t allow anonymous comments because you’re afraid of spam cluttering up your posts, consider using a spam catcher plug-in instead. It solves the spam problem but let’s readers comment more easily. Recently there was a huge comment discussion after a great post by Amy Coffin at We Tree Genealogy called Genealogy Blogs: A Comment on Comments (psst – be sure to read the comments!) Also see Amy’s follow-up post Genealogy Blogs Part 2: Readers Weigh in With Comments (this overlaps with my “Tell Them Who You Are” note above as well). Now that you’ve made it easier for readers to comment on your posts, don’t forget to respond! It isn’t necessary to respond to each and every comment left on your blog, but responding does let readers know that you care about their feedback. It is especially essential to comment back if a reader asks a question. Taking the time to comment back to your readers allows your blog to become an open discussion forum – your readers will appreciate your feedback as much as you appreciate theirs. This can be a point of contention in the blogging world, but I think that providing a full RSS feed to your blog is more useful to readers. The cons: 1) readers won’t actually visit your site, and 2) splogging or scraper sites will steal your content. Let’s discuss the visitor issue first… Every blogger want readers to visit their site and see the hard work you put into your design or fancy widgets or other blog “bling”. I love my site’s design and the header I designed, and I want others to see it. But, the reality is – there isn’t always time to visit every blog, every day. Blog readers allow us to read a multitude of blogs without having to visit every one. Also, if you are reading blogs on a mobile device, it may be slightly more difficult to switch back and forth between a blog reader and a web browser. My favorite reason for using full feeds is because my employer used to block all Blogger and WordPress sites, but Google Reader was allowed. Every day at lunch I could get caught up on my blog reading, but I could only visit the actual sites if I bookmarked them for later. Reading blogs this way doesn’t mean that I don’t ever visit actual blogs – I do! When a post captures my attention, I usually want to visit the site to comment. As for the sites that turn Really Simple Syndication into Really Simple Stealing, they are out there and always will be. There are a few things you can do to make it harder for these unscrupulous sites to steal your content, including adding a copyright notice at the bottom of every post and using Google Alerts to “find” your content online. 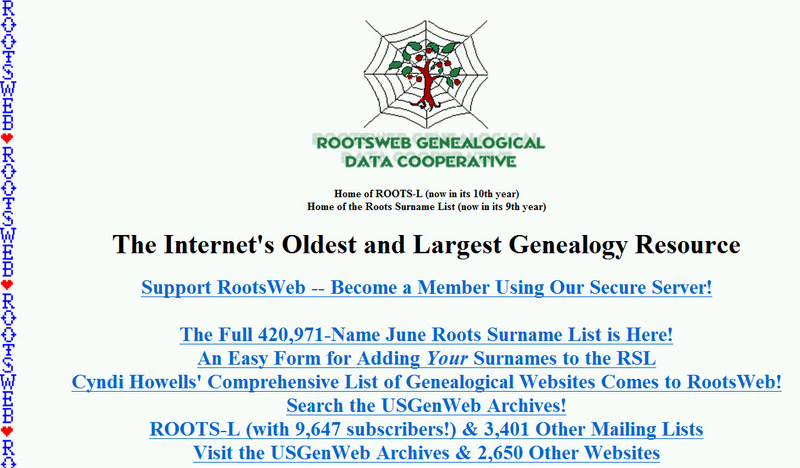 The genealogy community has been successful in going after splogging sites in the past. But, if content theft is really a source of contention for you, then stick with partial RSS feeds – just realize you might lose a few readers along the way. If you want to learn more about dealing with content theft, see Thomas MacEntee’s Resources on Blog Content and Copyright Theft and Lorelle VanFossen’s The Growing Trends in Content Theft: Image Theft, Feed Scraping, and Website Hijacking. After some success at Finding Polish Records Online, I decided to snoop around some more, this time with the Poznan Project. While many of my Polish ancestors come from the area in or around Warsaw, a whole other branch comes from the wielkopolskie province in what is known as “Greater Poland”. I have two ancestral lines from the town of Wilczyn in this province, which is covered by the Poznan Marriage Indexing Project. I entered some of my family surnames into the search form, and immediately I found several matches. But one find really confused me. The groom’s name and his parents’ names were familiar to me already. The bride’s name and her parents’ names were too. Except these two individuals are from different branches of my family tree! I actually had to plot it out on paper to figure out what had happened. 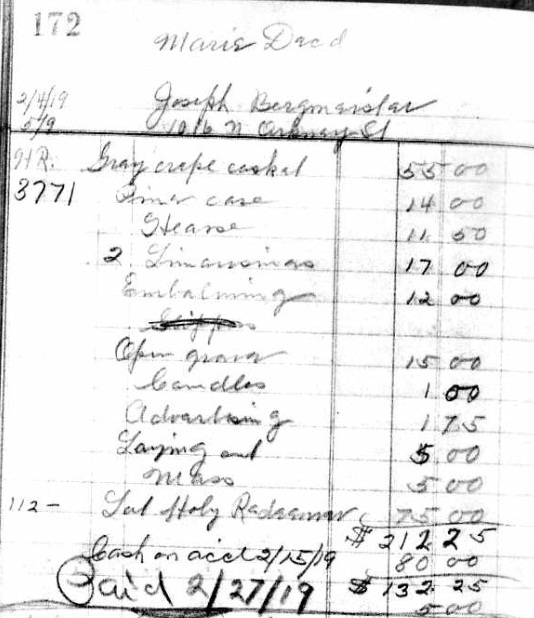 The “note” in the indexed record helped as well: he was a widower; she was a widow. Their deceased spouses’ names were my ancestors – both the deceased and the two newlyweds are my 4th great-grandparents. After charting it out, I was able to see that my great-grandmother’s father’s maternal grandparents were Franciszek Michałowski (b. 1788) and Julianna Pałuszyńska (b.1797). Her mother’s maternal grandparents were Józef Kubiński (b.1795) and Apolonia Lewandowska (b.1796). At some point, Franciszek died, leaving behind at least one daughter, Elżbieta Michałowska (b. 1824). Likewise, Apolonia died, leaving behind at least one daughter, Konstancja Kubińska (1818-1896). In 1839, the widow Juliana and the widower J﻿﻿ózef got married, which made their two daughters step-sisters. The previous year, Józef’s daughter Konstancja had already gotten married to Jan Drogowski (1818-1894). But Juliana’s daughter, Elżbieta, was only 15 years old. 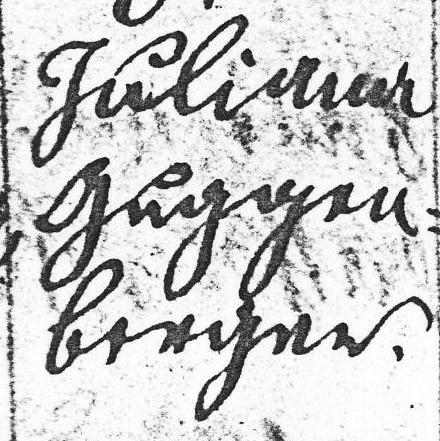 When Elżbieta eventually got married in 1844 to Józef Ślesiński (1821-1866), her step-father Józef was a witness to the marriage. Still with me? Elżbieta had a son, Wincenty (1850-1919). Konstancja had a daugther, Stanisława (1860-1918). Wincenty and Stanisława got married in 1879 and had my great-grandmother, Wacława (1885-1956) and a bunch of other children. Although Wacława has eight great-grandparents like most of us, her father’s grandmother married her mother’s grandfather after their spouses had died! Once I was able to see this second marriage, it actually explained what I thought was a discrepancy in the records. 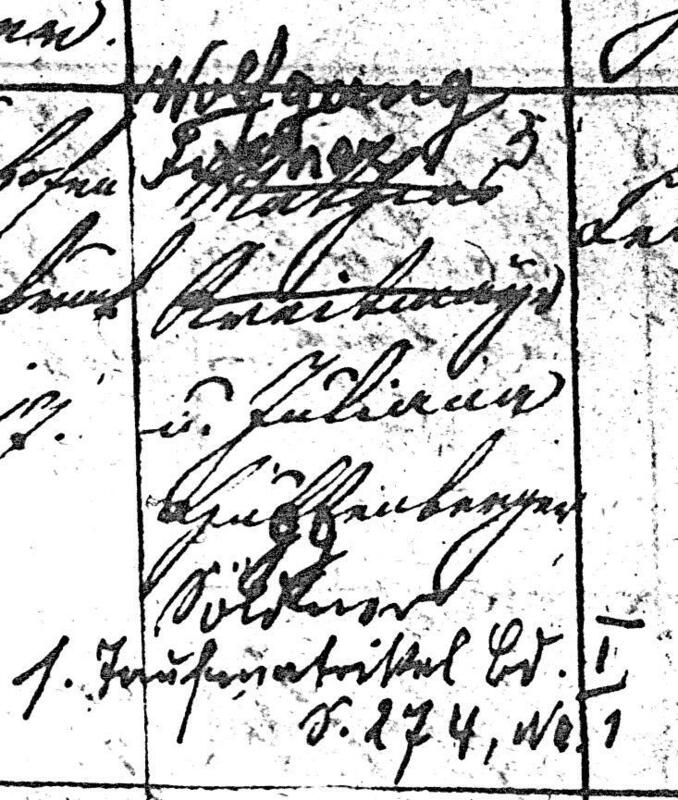 In Elżbieta Michałowska’s death record, her maiden name is not listed as Michałowska, but as Kubińska – her step-father’s name. Until finding this marriage record, I wasn’t able to figure out that apparent name change! One find in an index led to mapping out the family tree to see the connection. This just goes to show that you never know what you might find! I don’t usually look for second marriages in indexes, and if I hadn’t found this I would not be able to find the death record of the widow since I’d be looking under her first husband’s surname. 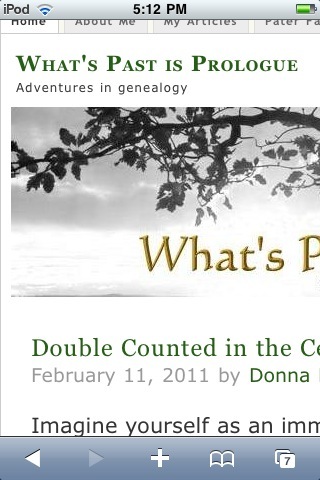 Wouldn’t it be nice if there was an “easy” button for genealogy? Can’t find a record? Just press the “easy” button! Well, occasionally even genealogists get lucky and find something easily. Since so many record are available online, a lot of research can be as easy as clicking a button. But when your ancestors lived in a state as vital-record-strict as Pennsylvania, or from parts of Poland and Germany that don’t seem to work with the big online record sites, “easy” isn’t common. For my new year genealogy resolutions, I made a wish list list of 11 goals for 2011. A few were research-specific, including number 9 – “Find the marriage record for Stanisław Piątkowski & Apolonia Konopka.” I didn’t necessarily put it on the list because I thought it would be easy; it was just one of those records I needed to find in order to continue researching each of those ancestral lines. I didn’t expect to achieve that goal eight days into the new year. And it was easy! Beginner researchers often post on mailing lists or genealogy forums, “Does anyone know where town xyz is?” The typical answer from those “in the know” is a question: Have you tried ShtetlSeeker? ShtetlSeeker is an online database developed by JewishGen. Researchers with no Jewish ancestry may not have heard of it, but if you haven’t you’re missing out on one of the best geographic resources on the internet. Despite its name, it’s not just for Jewish communities (shtetl is a Yiddish word meaning “town”). It is a database containing information on all towns in 45 different countries of Central & Eastern Europe, Northern Africa, the Middle East, and Central Asia. If your ancestors were Jewish, there is a separate search form that only looks at the towns with Jewish populations. The database uses the Daitch-Mokotoff Soundex for a “sounds like” search. The Daitch-Mokotoff soundex is more useful for Slavic or Yiddish pronunciations than the “regular” American soundex, which is especially useful if you have Eastern European ancestry. Let’s say you asked Grandpa where he was born, and he tells you “Mishzinof” in Poland. Chances are you didn’t ask him to spell it, and there is no town with that name – at least not spelled the way you heard it. If you enter MISHZINOF into the search form for a “sounds like” search, you will get 18 possible matches based on the similarity in pronunciation between the search term and the correct language’s spelling. While you do not need to enter a search term with any special characters, the result will provide you with the correct accented letters in the native language. If your ancestors were like mine, they may have said they were from the “big city” nearby (Munich) when they were really from a smaller town that no one ever heard of (Pfaffenhofen an der Ilm). I am currently researching an ancestor who listed a somewhat large town, Żyrardów, as her birthplace. 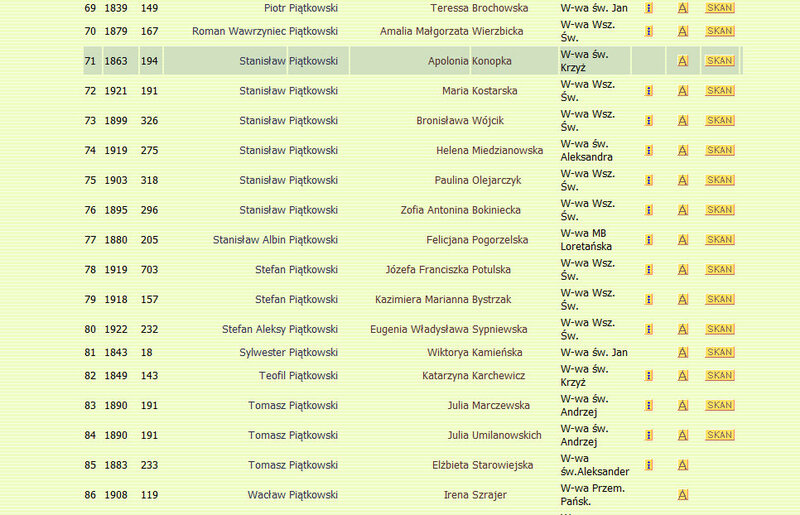 A search of the records didn’t find her family, so now I am looking at the towns closest to Żyrardów. I could open up a map to do this. Or, I can use ShtetlSeeker to find towns in a ten mile radius with the click of a button. The beginning of a list of 190 places within ten miles of Zyrardow, Poland. Names change, especially town names in central and eastern Europe. One feature of the database is that you not only see what the town may have been called at a particular time in recent history, but what it was called in other languages. For example, you can quickly learn that Gdańsk, Poland, was once Danzig, Germany. Or that my own Polish ancestors’ town, Żyrardów, was called Ruda Guzowska before 1833. Or that Pécs, Hungary could also be known as Pečuh [Croatian], Pečuj [Serbian], Peçuy [Turkish], Fünfkirchen [German], Pětikostelí [Czech], Päťkostolie [Slovak], Pięciokościoły [Polish], Cinquechiese [Italian], Quinque Ecclesiae [Latin], or Cinq-Églises [French]. Places don't move, but country's boundaries do! Above I indicated that one of my Pfaffenhofen ancestors said they were from Munich. 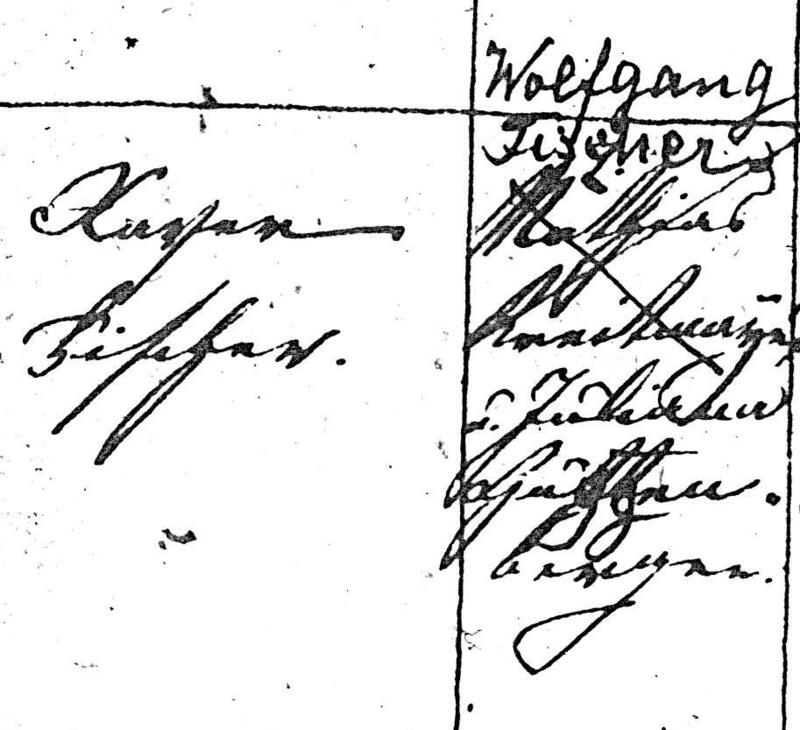 When I initially found the town name, written as “Pfaffenhoven” in a baptismal record, I discovered there were several towns in Germany with that name. But, he said he was from Munich, so which of the many towns with that name are close to Munich? With ShtetlSeeker, you can see a town’s distance from another town as a reference point. Eeenie, meenie, minie, mo, which Ostroleka did they come fro'? If you are Jewish, it’s even better! I recently researched a friend’s grandfather, who listed his birthplace on a draft registration card as “Chernovitz, Austria”. As there is no town with that specific name, I tried the ShtetlSeeker to perform a “sounds like” search. The search result was a list of dozens of possibilities located in Poland, Russia, Czech Republic, Slovakia, and other countries. Then it dawned on me…my friend and his ancestors are Jewish! After I limited the search to only towns with Jewish communities in the former Austro-Hungarian Empire, the result was reduced to one: Chernivtsi, Ukraine. The findings show that pre-WWI the town was known as Czernowitz and was part of the Austrian Empire, so it is likely the correct birthplace for his grandfather. There are also links to other databases on the JewishGen site related to the town. Some of the additional town resources for Jewish communities. 3 types of searches – Jewish Communities, places by name (all localities in Central and Eastern Europe), and location (localities within a certain distance of a given latitude / longitude coordinates). Recently I finally admitted defeat with my complete lack of organization of all things genealogical, so I’m on a crusade to rebuild my database from scratch and take care of some of those pesky little details like, oh, you know, source citations and whatnot. In addition to documenting the sources I’ve used, I also wanted to make sure I document all of the details from documents that I may have previously neglected. In light of this, I had a few minutes of my lunch hour to spare today so I decided to make sure I had some digital copies of certain records. For no reason in particular, I decided to copy the U.S. World War II Draft Registration cards for my great-grandfather, Louis Pater, and his brother, Stephan. I’ve had good luck in researching the Pater family – I know where and when they were born and can trace the family back a few generations. But in looking at the draft cards, which undoubtedly I had already seen at some point in my research, I came upon the curious fact that in 1942 the brothers worked for the same company. The Pater brothers worked for the Ardross Worsted Company. 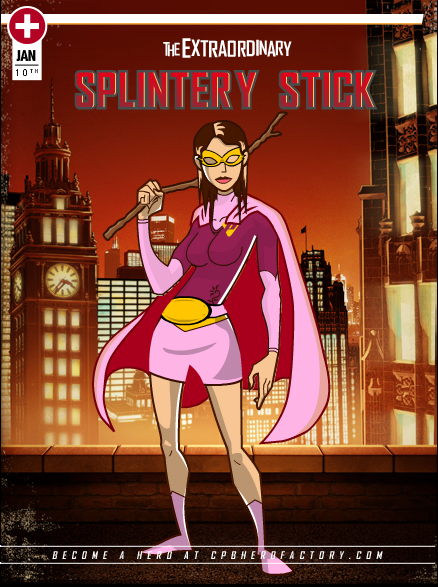 The company name meant nothing to me. But the address made my eyes widen in disbelief…it is about a half a mile from where I was sitting at my desk in work. What are the odds of that? I knew the entire Pater family worked in the textile mills – not only in Philadelphia, but in the town in Poland from which they immigrated, Żyrardów. But I assumed the factories were in the neighborhood in which they lived – which is not close to the neighborhood where I work (at least when you consider that they didn’t have a car). This factory, which is no longer standing, was literally blocks from where I work. In another coincidence, my career involves today’s shrinking U.S. textile industry, so in yet another way I am “connected” to my ancestors (and how I knew that a “worsted” company was a textile manufacturer). Location of Ardross Worsted Company, Philadelphia, in 1942. Just when I think I have gleaned all the information I can from some particular document, I am surprised by some detail that I overlooked. It was a pleasant surprise to find out that my great-grandfather and I worked in the same neighborhood sixty years apart! Have you seen, virtually or in reality, the workplaces of your ancestors? You might be surprised by what you find! What does a building mean to you? Is it just a thing, a purely physical being? Or is there substance beyond the bricks and mortar? Might there be something more there—something more than the sum of its parts? The site author visits various churches in and around Philadelphia and provides a glimpse into the history, architecture, and current status of the parish. Most of the churches are Roman Catholic, but several Protestant churches have also been visited. While the primary focus is the wonderful architecture of these old churches, the site also offers a comical take on the neighborhood or history of the area. As a genealogist with solid Catholic roots in Philadelphia, these sites are wonderful in documenting some of the grand churches of my ancestors’ neighborhoods. Take, for example, the Project’s page on St. Adalbert’s. The parish was founded in 1904 – and my great-grandfather was one of the founding parishoners. While you won’t find out that sort of information on the Project’s pages, they will help you “see” some of the churches of your ancestors! Even if you are not from Philadelphia, if you have an interest in architecture I encourage you to browse the site and see what our city has to offer. 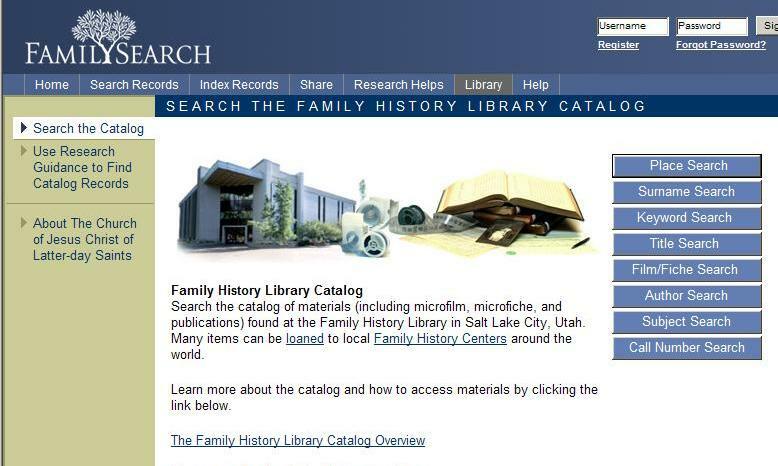 Last week at the NGS 2010 conference, I grumbled to someone about something I disliked about searching for information in the Family History Library catalog. 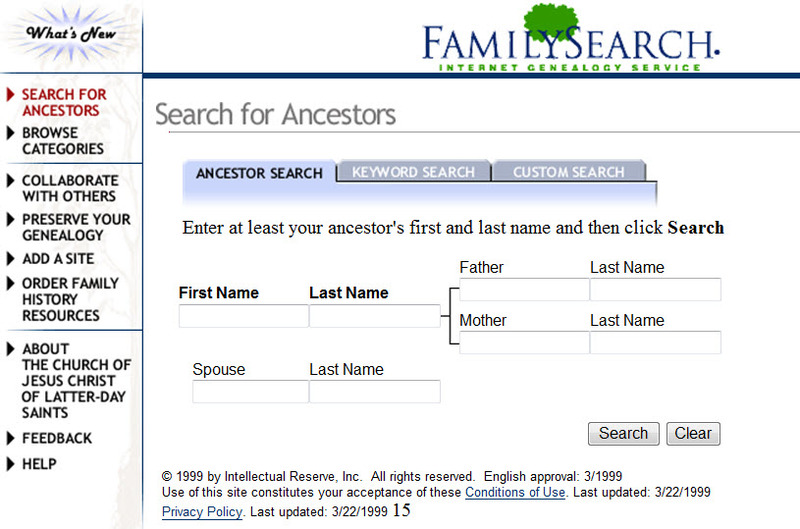 I didn’t know it at the time, but I grumbled to someone who works for FamilySearch with the catalog. Because I happened to grumble to the “right” person, I ended up learning an important search tip that I previously did not know. My complaint involved searching the catalog for place names to see what records have been microfilmed for that place. If you search for the name of a town that has records cataloged under the name of that town, it obviously will come up as a search result. But sometimes other towns or villages are included in the records of a larger town nearby, and these names will not show any results if searched. Transcripts of catholic church registers of births, marriages, and deaths in the parish of Scheyern and the towns of Scheyern, Vieth, Mitterscheyern, Sulzbach, Paindorf, Niederscheyern, Hettenshausen, Triefing, Winden, and Ilmmünster. However, if you search again under the place name of Paindorf or Niderscheyern or one of the other villages, the result for the Scheyern parish records will not show up and the result will say “No matching places found”. This was my complaint. But it pays to complain if the right people are listening. I learned that if you search for keyword in lieu of place name, the appropriate record will be found (in the case of the town of Paindorf, there are records listed not only under the town of Scheyern but also Reichertshausen and Kemmoden). Frankly, this was a revelation to me. It may seem obvious to my readers, but I had never tried using a keyword search for place names before. This is a very helpful hint, because many small villages in Germany, Poland, and other countries did not have a church of their own. Instead, residents traveled to the next larger town and that is where the records will be located. I thought I would attempt similar searches in the Beta FamilySearch site since it will eventually replace the current FS site. Randy Seaver gave the new site a big “thumbs down” in his review, FamilySearch Beta Library Search – FAIL, for several reasons. 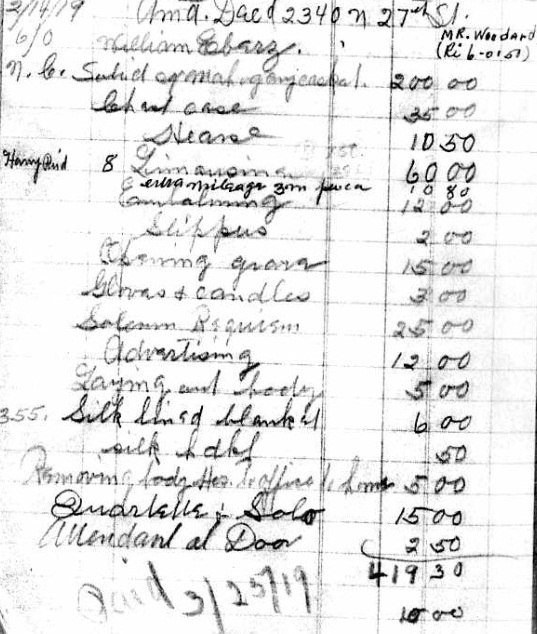 One reason was due to a lack of information when performing a Place search, including the list of microfilm numbers. I also tried the “Beta” FamilySearch site at fsbeta.familysearch.org. Under “Library Catalog”, the “Place Names” search still brings up the same information as the “classic” site, which means those smaller village names are not recognized in the results. Under this Beta site, there is no keyword search. Instead, I tried the option to search “Entire catalog”. Using this search parameter, you will get the same results as the “classic” keyword search. With one minor exception – no microfilm roll numbers, as Randy noted. When it comes to searching the “Beta” library catalog for place names, I have to agree with Randy that the Beta site lacks the information found in the “Classic” site. However, if you read the comments on Randy’s post, the “Beta” is still in development and not yet ready for prime time. I am optimistic that this will be fixed. 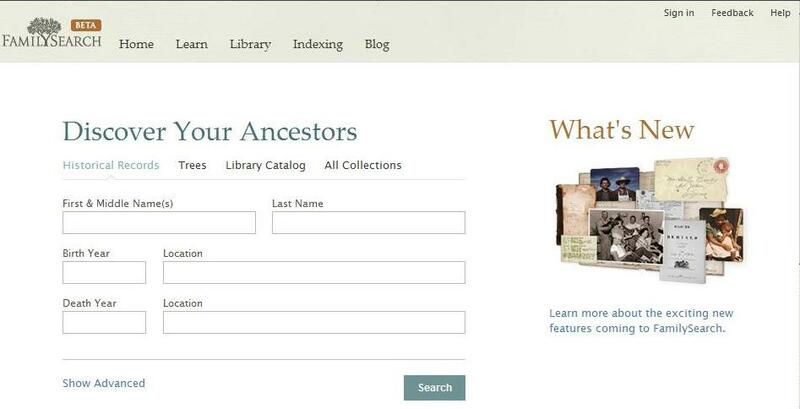 In the meantime, enjoy the tip of using either a Keyword Search (on the classic FS site) or an Entire Catalog Search (on the Beta FS site) if you have towns or villages that you have not been able to find in the Family History Library Catalog. If you hadn’t used that search option before (like me), then you may find that the town you are looking for really does have some records available! As a Polish-American interested in genealogy, I quickly learned that pronunciation is the key to everything. How can you properly research a family if you can’t say the language correctly? I realized that there are American English pronunciations of Polish surnames and place names, and then there is the real way it is pronounced in Polish. Over the years I’ve learned a few things about the Polish language with its “different” letters and consonant combinations, and I can usually figure out how a word is pronounced. But sometimes…I get stumped. Just the other day I learned that my great-grandmother was born in a town near Warsaw called Przybyszew. Przybyszew? Where do I begin? I’d like to buy a vowel, Pat! Fortunately, I discovered an awesome website thanks to Zenon Znamirowski from PolishOrigins.com that allows you to hear Polish words pronounced by Polish speakers! So, how do you say Przybyszew? Click on this link to hear it! The site, Expressivo, is a text to speech program. To test it out, you can enter up to 200 characters of text here and listen to the results read by several voices: Eric (male US-English), Jennifer (female US-English), Carmen (female Romanian), Jacek (male Polish), or Ewa (female Polish). To hear Polish names or place names, I highly recommend using the two Polish voices to hear a true Polish pronunciation. Many Americans may have seen these town names in Poland and thought they knew how to pronounce them. Try it, then click on the link and see if you were correct – you might be surprised! You can tell that I had a lot of fun “playing” with this site, but other than it being cool to hear your ancestor’s name and hometown properly pronounced, why is it important? Because knowing the correct pronunciation in an immigrant’s native language can often help you find your ancestor in records that are not spelled correctly, but are written as English-speakers heard the foreign tongue pronounced. Obviously, this does not only apply to the Polish language, but any language other than American English. Not so long ago in a galaxy not too far away, the word “genealogist” may not have been associated with the most technology-savvy person. The image that came to mind may have been more of a bookworm-librarian searching through piles of books and papers in dusty old archives. Today, many genealogists are very well versed about the latest computer technology because it helps to advance our research so much! So set your GEDCOM-phasers on stun as we uncover the topic for the 43rd edition of the Carnival of Genealogy: Technology! What piece of hardware (besides your computer) do you most rely on for your genealogy and family history research? This may be an unconventional answer, but for me it’s my digital camera. While I have a fancy digital SLR for vacations and family portraits, it’s my tiny fit-in-your-pocket digital Casio Exilim that gets a genealogical workout. How can you utilize a camera for family history research? First, the obvious answer is to take photos of living relatives and current places. Did you finally meet your third cousin twice removed? Take a photo! Visit your ancestor’s old street, church, or town? Take more photos! Tombstones of your relatives? Take a photo and you don’t have to stand around the cemetary taking notes! Another great way to use your camera for research is to take photos of…photos! Relatives may not want to loan out their treasured original photos of your shared ancestors, and we all can’t travel around with a laptop and a scanner. But, with some attention to light and camera settings, it’s easy to snap a digital photo of another photograph. Watch out for glare on the surface of the photo, and use a macro or close-up setting on your camera. You can also use your camera to take photos of documents, as long as there are no copyright infringement issues. My camera has a “Macro Mode” specifically for text. Hold the camera steady! This also works if you want to take a photo of a record on a microfilm reader. I haven’t tried this yet, but I’ll be visiting the Family History Library in Salt Lake City in April. Since they allow the use of cameras, I’ll keep you posted how this turns out. What piece of software (besides your internet browser) do you most rely on for your genealogy and family history research? This one is harder to answer. Based on my camera answer above, I’ll have to say my imaging software. I use PhotoImpact by Ulead, mostly because it came with my old scanner and it was easy to use. It may not have all of the bells and whistles of the newer programs, but it does a fine job of helping me edit my photos. It’s also useful for editing images of documents, such as snipping a piece to show on this blog or capturing an ancestor’s “autograph” from documents. What web site/blog (besides your own) is indispensable to you? Steve Morse’s One-Step site. Without it, I would not have been able to find several folks in the Ellis Island passenger lists and many others in Census Records. Steve Morse’s search tools get around indexing issues or errors by allowing you to search in many other ways and on many different “fields” of the records. 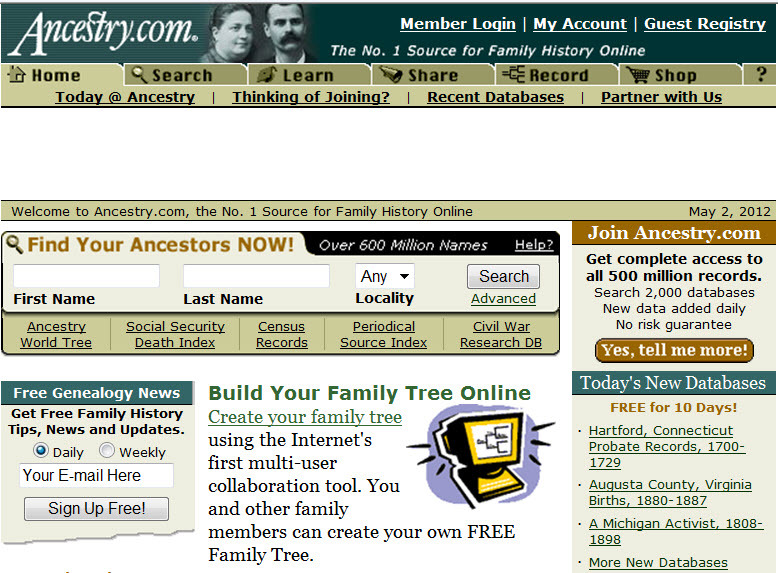 There will always be some ancestor that eludes searches, but Steve’s site makes it easier to find the rest. What are your favorite genea-tech tools?